Our last sale of 2018 on the 7th November, contained 851 lots of specially selected original military collectables. Despite an 8 hour sale interest remained constant with room, telephone and live internet bidders fighting to the very last lot of the day. The sale got off to a good start with Lot 1 a 93rd Sutherland Highlanders Victorian Officer’s foreign service helmet plate pre 1891 selling for £950, but the highlight of badge section was a superb WW2 period blanket covered with British Army formation badges. Compiled by Major John George Etteridge R.A.O.C. little did he know as he snuggled under his blanket that one day it would sell for a hammer price of £5,800. A large selection of military accoutrements showed the pomp and ceremony of the British Army and a strong Highland theme saw a rare Scottish. 91st Argyllshire Highlanders Victorian Officer’s dirk belt circa 1870 sell for £1,900 and a similar Queen’s Own Cameron Highlanders Victorian Officer’s dirk belt sold £1,100. The first lot in the medal selection caused a stir with the fine group awarded to Major General Sir Chauncy Batho Dashwood Strettell, KCIE, CB of the Indian Army which sold for £5,000. 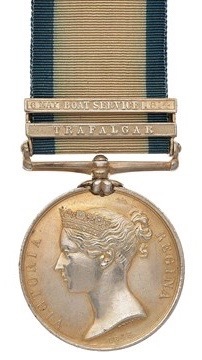 This was quickly overshadowed by a Unique and Important Royal Navy HMS Prince Naval General Service Medal with Two Clasps “Trafalgar” & “6 May Boat Service 1814”. The second clasp being the only one issued. A telephone bidder and a commission bid saw a contest start at £15,000 and finish with the fall of the hammer at £25,000. This section was followed by a special dedicated selection of lots marking the Centenary of the end of the Great War, many of the lots showing the human cost of the war to end all wars. An original Army message note ordering the Cease Hostilities at 11 o’clock sold for £600 and a full dress uniform group to Lieutenant Walter John North Cheatle of the King’s Own Scottish Borderers sold for £2,000. This Officer was a pre war regular and he was killed on his very first day in action during the Gallipoli landings 25th April 1915. A surprise amount of £2,800 was paid for a near complete archive of original “Wipers Times”, plus following publications incorporating the title. 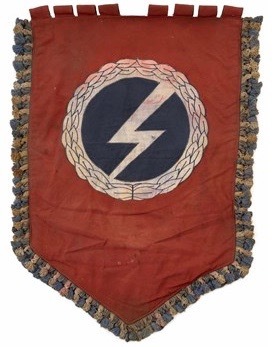 Moving to the Second World War was a British Union of Fascist Important Organisation Standard / Banner, this banner being one of but a few surviving examples sold £4,000. Remaining with WW2 Political organisations was a “Azad Hind” Indian Anti British Political Movement Flag which sold for £1,000. The softer side of military collecting was reflected with a diamond set Coldstream Guards sweetheart brooch which sold for £1,000. A Honourable Artillery Company Victorian Officer’s ‘Albert’ pattern shako circa 1844-55. sold for £5,400 and amongst the German Third Reich material was a rare SS dagger with full Rohm inscription by Eichorn, Solingen which sold for £5,600 and a Government Official’s dagger at £3,200. This sale contained the third part of an important Special Operations Executive collection of original “Spy Gagets” and £3,600 was paid for a dart firing pen and a rare Agent’s Concealed Weapons Kit, including various items sold for £3,800. In the closing stages of the sale was the first part of a collection of rare British fighting knives with a 1st pattern Fairbairn-Sykes Commando fighting knife selling for £1,700 a second pattern selling £1,100 and an outstanding period miniature version of the 1st pattern selling for £1,200. The next to last lot of the sale proved to be an interesting item in the form of an Indian fighting knife carried by a Royal Marine of “Pearl’s Naval Brigade” during the Indian Mutiny. This Naval Brigade was landed to aid the British Army. Engraved with the Marines name and details, which were confirmed by Bosleys it sold for £950. 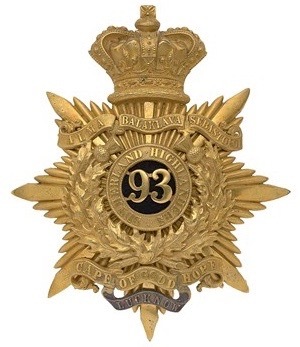 Bosleys next auction will be on the 31st January, an internet Military Badge Auction with over 600 lots and our next public sale of military antiques will be held on the 6th March.